Aint this some mess. Here I am checking out what news articles are out for the day and I am inundated with Harry Potter this that and a third news. Does he live, does he die, damn those spoilers, etc ... Well, this article I cam across totally takes the cake. That was the title. As my cousin, Tammie Jean, would say, "Are you serious right now!" And as I would say, "For real, for real?" July 20 (Bloomberg) -- A U.K. children's charity has brought in extra staff to man its phone lines in expectation of a deluge of calls from distraught youngsters if Harry Potter dies. 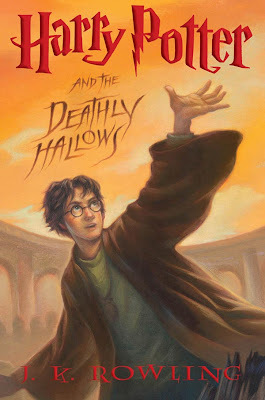 ``Harry Potter and the Deathly Hallows,'' the seventh and final book in J.K. Rowling's series of adventures about the boy wizard and his friends at Hogwarts School of Witchcraft and Wizardry, goes on sale tomorrow.